During the preparatory work for a painting, I may make images which are tangential to the problems posed by the particular painting. Some of these images I return to and develop later, others remain as fragments of a theme. 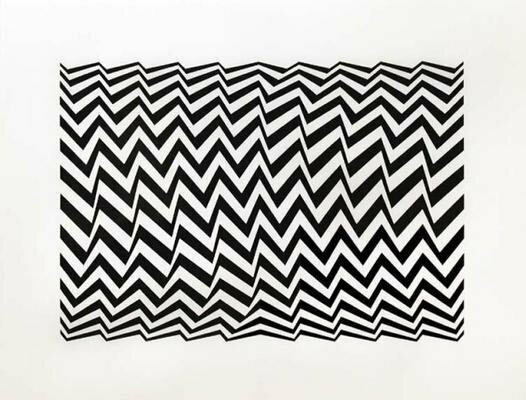 Although the prints of the Fragments suite are related to paintings done between 1962 and 1965, they have a distinct character of their own, which is formed by the way in which Bridget Riley has turned the limitations of the medium to advantage.